Plaster, Stucco, Concrete & Fireproofing Pumps/Mixers - Western Equipment Manufacturing, Inc.
With tools like Quick Find, Advanced Search, Categories and breakdown schematic pages we have made it easy for you to find the part you need. Click on the link below to visit the store and view the specials for the month. Here at Western, we manufacture equipment you can count on. If you're a professional looking to complete projects such as fireproofing, swimming pools, slurries, slab jacking, masonry grouting, pool plastering, etc. then you've come to the right place. Western Equipment Manufacturing, Inc. manufactures plaster/stucco & fireproofing pumps, grout & concrete pumps, & stucco/mortar mixers. We're always a step ahead of the competition because we spend a lot of time in the field listening to professionals like you and integrating the features that make you more competitive. 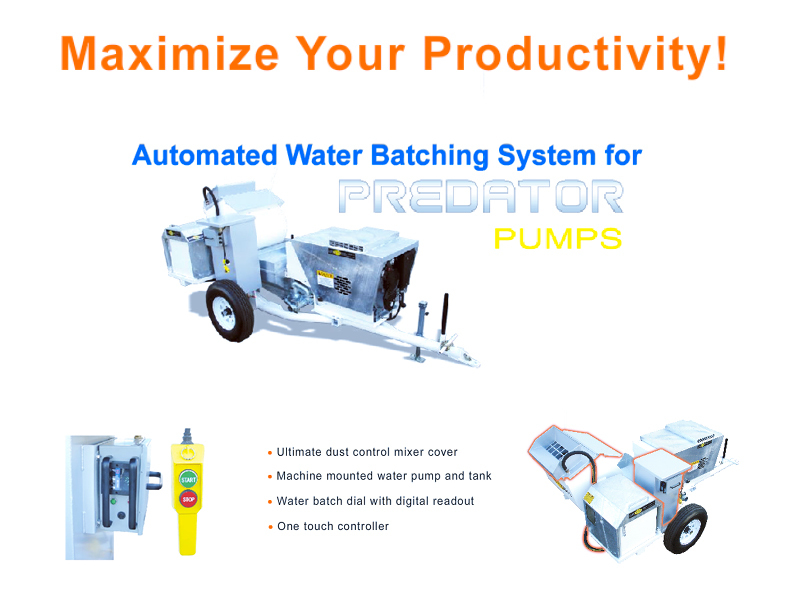 In September 2000, Western Equipment Manufacturing, Inc. brought productivity to a new level by introducing the first succesful single engine mobile pump. We pride ourselves on exceptional dealer support for all the contractors parts and service needs. Equipment and parts are readily available for quick shipment.